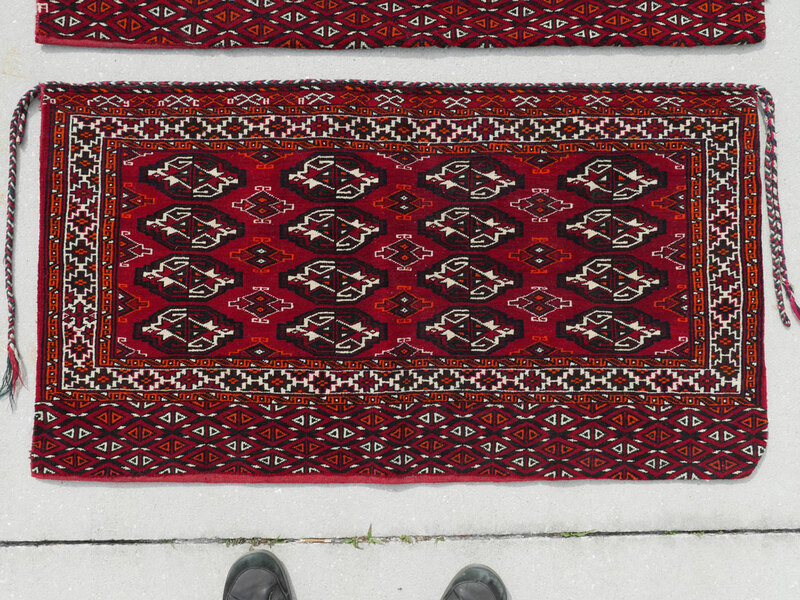 APPROX 25-50 YR OLD TURKESTAN BOKHARA HAND KNOTTED COMPLETE BAGS, 3'11'' X 2'2'': These beautifully woven bags were used for storage or transport of everyday items and also brightened the lives of their owners. 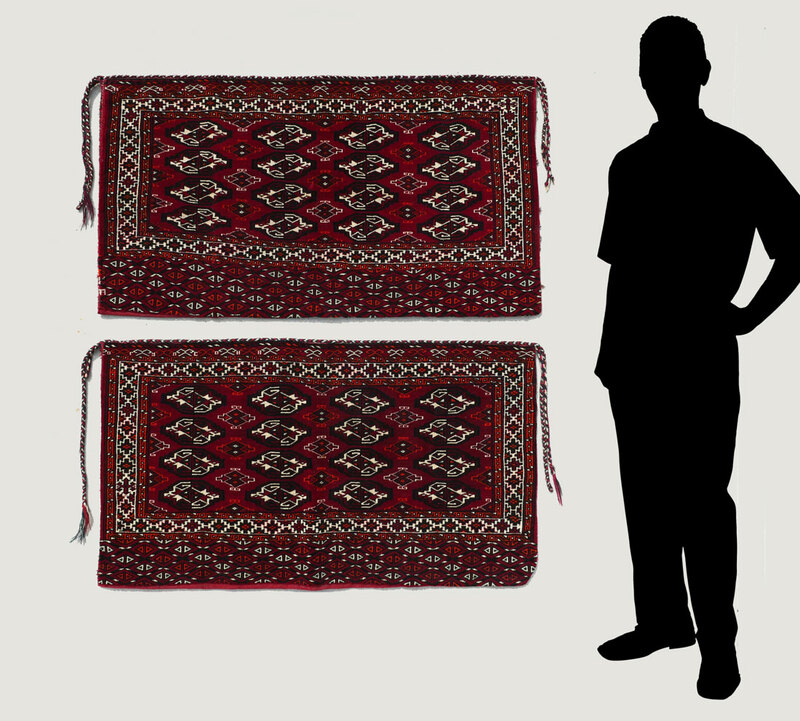 They have a traditional Bokhara pattern that includes two designs of ''guls'' in staggered rows on the red field. 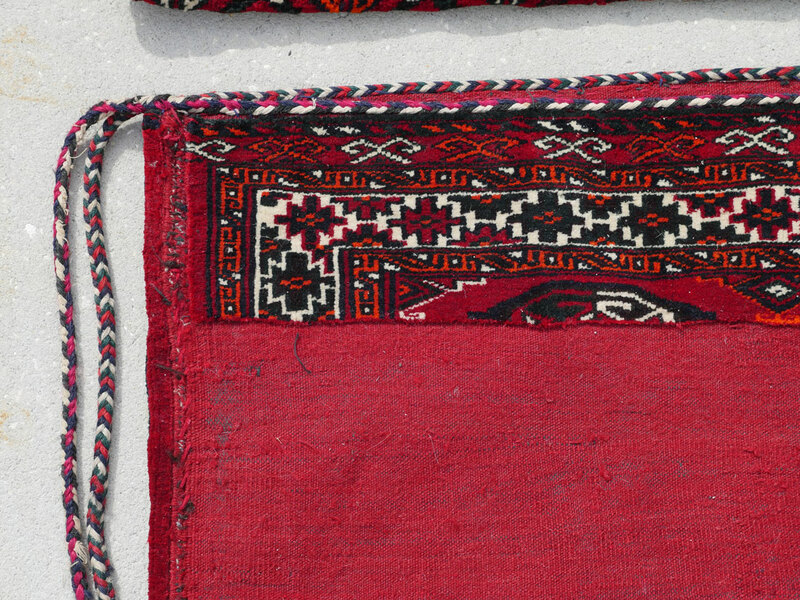 The borders, including an ''apron'' or extra border at one end are filled with small geometric shaped motifs done in the same colors of red, white, black, and orange as the rest of the bag. 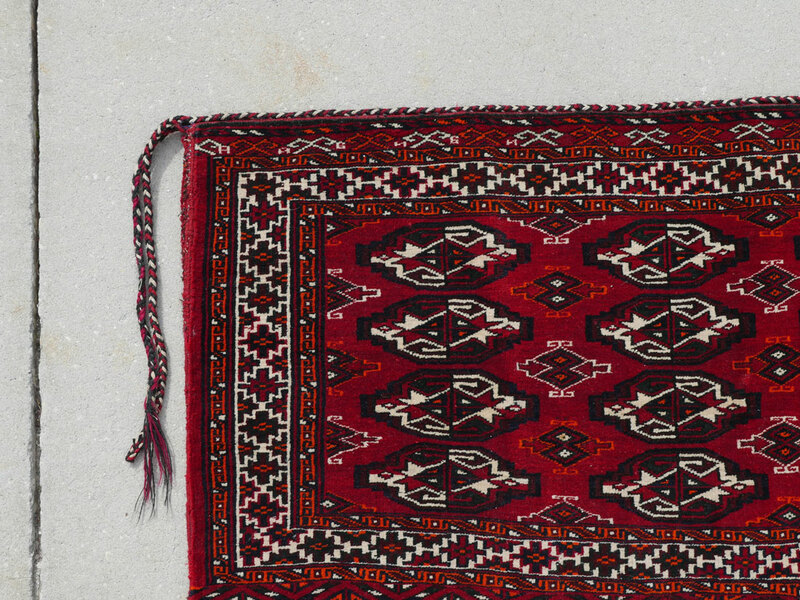 These complete bags can be used as pillows to brighten your home.